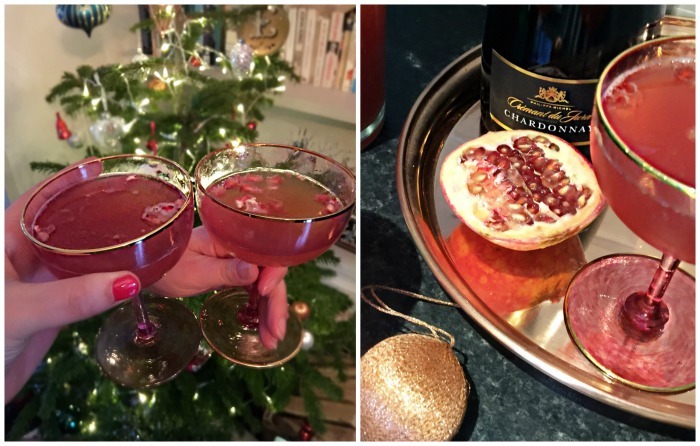 Christmas Day itself might be done and dusted but we still have plenty of the season to enjoy – and I have the perfect little recipe to make sure it’s full of festive cheer! Not gonna lie, this post is also an excuse to show off these gorgeous glasses from the new Waterford crystal Rebel range, which I’ve been saving to use over Christmas. Stylish and contemporary, the range was designed by Jo Sampson to draw on the punk aesthetic and combines gold metallic hues with crystal in plum, amber, blush and pink. I came across this recipe over on Half Baked Harvest (and am now completely obsessed with this stunning food blog and Tieghan’s gorgeous photos). 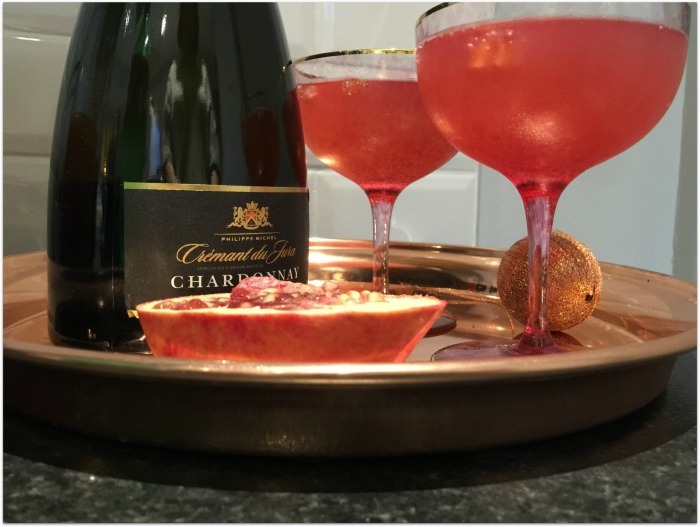 Of all the Christmas drinks recipes I pored over this year this caught my eye due to a winning combination of easiness and a (relative) simplicity of ingredients – I already had most of them at home, and the others weren’t hard to track down. Pour the pomegranate, orange and lemon juice into a jug with the apple cider, stir and chill. Ladle into glasses, top with your bubbles of choice, add a dash of bitters and some pomegranate bits (they’re called arils, apparently – who knew?!) – and enjoy! This post is part of the the Live. Love. Toast. campaign from Waterford Crystal, who gifted me with the glasses. Check out the website for shared stories about celebrating, and inspiration to elevate simple, everyday moments into a celebration.